He is one of the world's most wanted militants and the symbol of brutality by the Islamic State in Iraq and Syria (ISIS). 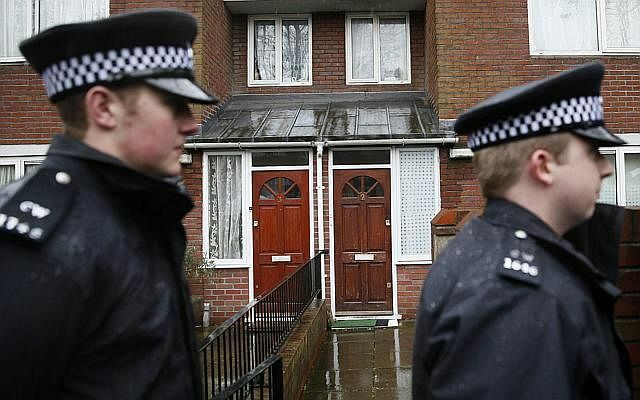 Known as "Jihadi John", the black-clad militant brandishing a knife and speaking with an English accent in videos by ISIS is said to be Mohammed Emwazi, a 26-year-old Londoner, according to Washington Post. Emwazi was born in Kuwait but moved to Britain with his family when he was six years old. He arrived in London speaking only a few words of English. His father found work as a minicab and delivery van driver, while his mother was a housewife. The family live in a small apartment in the west London neighbourhood in Queen's Park. Emwazi has two younger sisters and a younger brother. He was reported to have occasionally prayed at a mosque in Greenwich, south-east London. The young Emwazi was described as polite and mild-mannered. He appeared to embrace British life, playing football regularly and supporting Manchester United. The Daily Mail newspaper published a picture of Emwazi smiling and sitting cross-legged on the grass with his classmates from the St Mary Magdalene Church of England primary school in Maida Vale, West London. Despite his limited command of the English language, Emwazi was popular in school as he was often engaged in sports, especially football, with his classmates. He was the only Muslim in class and one former classmate recalled a lesson when Emwazi got up from his seat and shared with the class about his religion. "He wrote Arabic on the board to show us what it looked like... He showed us a religious text and spoke about what his religion was about,'' said the classmate. When he grew older, Emwazi was known among friends as polished and having a penchant for wearing stylish clothes while adhering to the tenets of his Islamic faith. He had a beard and was mindful of making eye contact with women, friends said. After finishing primary school in 1999, he moved to Quintin Kynaston Community Academy in St John's Wood, where he became more observant of his religion and began wearing more traditional Islamic attire. But it was after he was admitted to the University of Westminster to study computing that his behaviour began to change, according to media reports. The university has been linked to several proponents of radical Islam and Emwazi appeared to have fallen under their sway, it was reported. Enwazi graduated in 2009 in information technology. However, instead of building a computing career, he ended up on the radar of the British intelligence service MI5. Emwazi claimed he was harassed by MI5 over a planned trip to Tanzania in May 2009. He reportedly e-mailed Cage charity, which campaigns for those detained on terrorism charges, to say that he had been harassed by MI5 which tried to recruit him as an informant. Asim Qureshi, research director of Cage, said that after Emwazi's graduation from university in 2009, he travelled to Tanzania for what he said was a safari holiday with two friends - a German convert to Islam named Omar and another man called Abu Talib. But the trio were refused entry and held by police once they arrived in Tanzania. They were later put on a plane to Amsterdam, where Emwazi claimed he was questioned by a MI5 agent called Nick. The British officer accused him of planning to travel to Somalia to join Al-Shabaab, an Al-Qaeda-linked militant group. "He knew everything about me; where I lived, what I did, the people I hanged around with. He also believed that I was lying and I wanted to go to Somalia," Emwazi wrote in his e-mail to Cage. "I said to him that 'I have just shown you my ticket for going to Tanzania'. Now the argument had started going back and forth, same thing again and again, like in a circle. He just wanted to force it out of my mouth that I intended to go to Somalia. But I stood firm and maintained that I had no reason to go to Somalia. "He said that he was going to keep in touch and call me regularly. He even said that he would try to visit me,'' he said. None of the events mentioned by Emwazi has been verified by the British intelligence service. After the Tanzania episode, Emwazi moved back to his birthplace of Kuwait. He had found a job working for a computer company but he returned to London on two occasions, the second time in June 2010 to finalise his wedding plans to a woman in Kuwait. According to Mr Qureshi, Emwazi was stopped by counter-terrorism officers in Britain who detained him and took his fingerprints. He was also reportedly stopped from travelling back to Kuwait the following day while intelligence officers investigated him. In a frustrated e-mail to Mr Qureshi at the time, Emwazi allegedly wrote: "I had a job waiting for me and marriage to get started. "I feel like a prisoner, only not in a cage, in London. A person imprisoned & controlled by security service men, stopping me from living my new life in my birthplace and country, Kuwait,'' he wrote. Besides the alleged harassment by MI5, Emwazi was reportedly upset when an Al-Qaeda terrorist was convicted for the attempted murder of US nationals in Afghanistan. 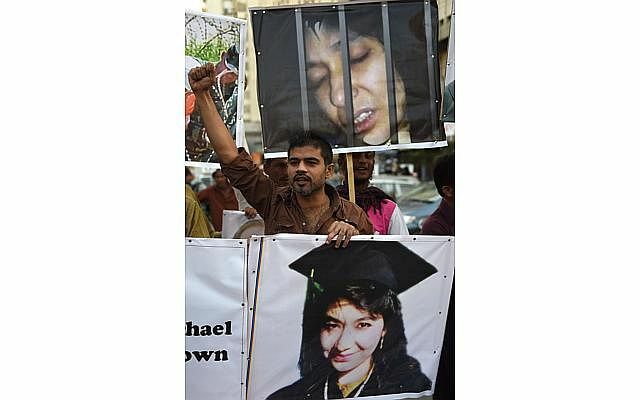 US-trained neuroscientist Aafia Siddiqui became a cause celebre in the Muslim world after she was jailed for 86 years for a shooting which took place while she was being questioned as an Al-Qaeda suspect in Afghanistan in 2008. Following her conviction, Emwazi was alleged to have written that he had "heard the upsetting news regarding our sister. This should only keep us firmer towards fighting for freedom and justice!" He has also been linked to another British militant, Bilal al Berjawi, a leader of Al-Shabaab. The Lebanese born militant travelled to Kenya in February 2009, telling his family he was heading for a safari trip. He and a friend were detained in Nairobi and sent back to London but made it to Somalia in October that year. So it is likely that Emwazi's own safari trip a few months later in May, from Britain to Tanzania, set off alarms with the British security services. Berjawi was killed in Somalia in 2012 in a US drone attack. Emwazi is believed to have travelled to Syria around 2012 and later joined ISIS, the group whose barbarity he has come to symbolise. It is unclear how he managed to travel to Syria despite being on MI5 watchlist. "He was upset and wanted to start a life elsewhere," said one of his friends. A former hostage said Emwazi was part of a team in charge of guarding Western hostages at a prison in Idlib, Syria, dubbed "the box". One former hostage said Emwazi was there with two other men with British accents. Emwazi was described as quiet, intelligent and "the most deliberate". One former hostage said Emwazi was obsessed with Somalia and made his captives watch videos on the Al-Shabaab militant group. In early 2014, the hostages were moved to a prison in the Syrian city of Raqqa, the de facto capital of ISIS, where they were visited often by the trio. They appeared to have taken on more powerful roles within the militant group, said the former hostages. A video was released by ISIS in August 2014 showing a masked man raging against the United States before apparently beheading US citizen James Foley off camera. Dressed entirely in black, with a balaclava covering all but his eyes and the bridge of his nose, and a holster under his left arm, the man was nicknamed "Jihadi John". He and other Britons in ISIS were named after the Beatles. Jihadi John, now believed to be Emwazi, is said to be also responsible for the killings of US journalist Steven Sotloff, British aid workers David Haines and Alan Henning, and American aid worker Abdul-Rahman Kassig. He also appeared in a video with Japanese hostages Haruna Yukawa and Kenji Goto shortly before they were killed. He used the videos to threaten the West, admonish its Arab allies and taunt US President Barack Obama and British Prime Minister David Cameron. In the video, he was often seen standing next to petrified hostages cowering in orange jump suits.